Jhony is an economist and Master's in Public Management candidatat the IESA. 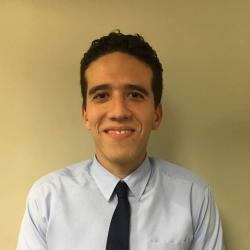 Jhony works at CAF Development Bank, as a research and project assistant in impact evaluations in eight Latin American countries. Before, he worked in a municipality in the Planning and Budget Area. His research work is mainly concerned with education, social inclusion programmes (sports, social reinsertion of former offenders), and building state capabilities. His interests are mostly related to public policy in local governments and finding ways to improve their performance.